It appears this is a first order initial value linear diff eq. Once you identify it's a matter of applying the correct theorems/formulas. Attached is my solution. 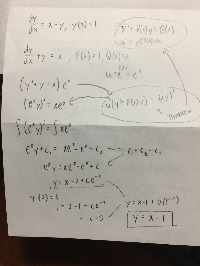 Relevant formulas are circled.